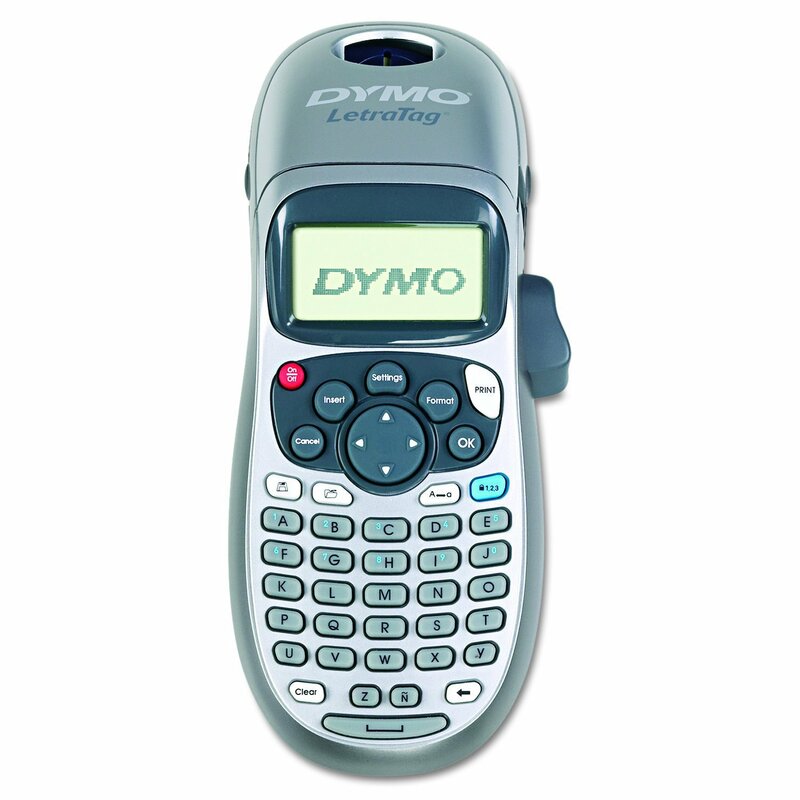 Instantly create useful labels for your workplace with this Dymo LetraTag LT-100H electronic label maker. Start printing labels within minutes with this handy electronic label maker. It works with labels up to 0.5 inches wide, so you can organize everything in your office and even create simple instructional labels. This Dymo label maker features an LED screen that shows you the exact text before you print, including letters, numbers, symbols, underlining and bold text. Input letters with the 26-letter keypad embedded on the face of the printer. Expand your options with 195 symbols plus a date stamp, and choose from five fonts, seven print styles and eight box styles for added versatility. Two-line and nine-label memory increases your efficiency so you can print the same label many times if you need multiple runs of the same printing. Print on white, colored, metallic, plastic or iron-on labels. This handheld label maker goes where you go. Take it with you to print labels for shelves, storage bins or boxes anywhere in your warehouse space, and keep the label maker close when you print standard return labels for mass mailings or product shipments. Organize your children's clothes with iron-on labels that stick to garments. The large LCD screen displays up to 13 characters at a time, letting you see exactly what you want to display on the label, including bold and underlined text. Print up to two lines of text for sentence-long instructions or mailing labels.